We know the lazy river makes the kids the happiest. Wonderful views in every direction. 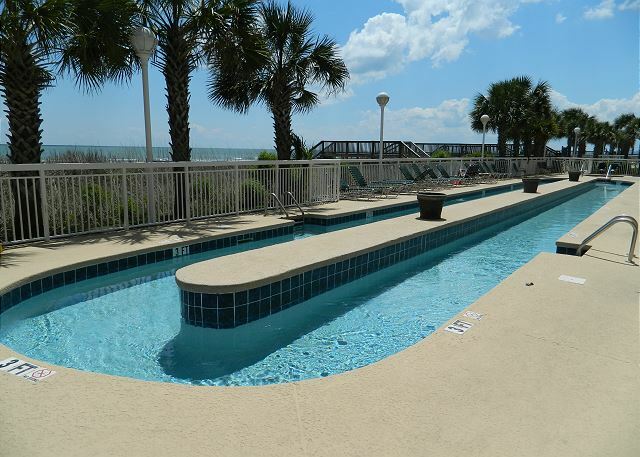 Crescent Shores offers beautiful landscaping around the pool and sundeck overlooking the dunes. 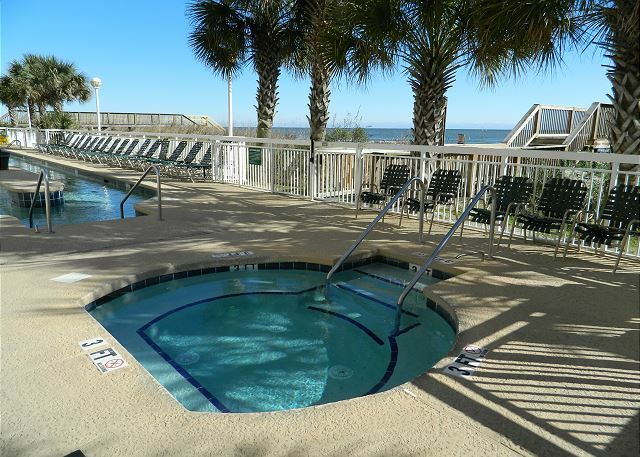 Pick a hot soak or a cool dip -- your choice on vacation. Plan to pick up fresh seafood and enjoy a great grilled meal. 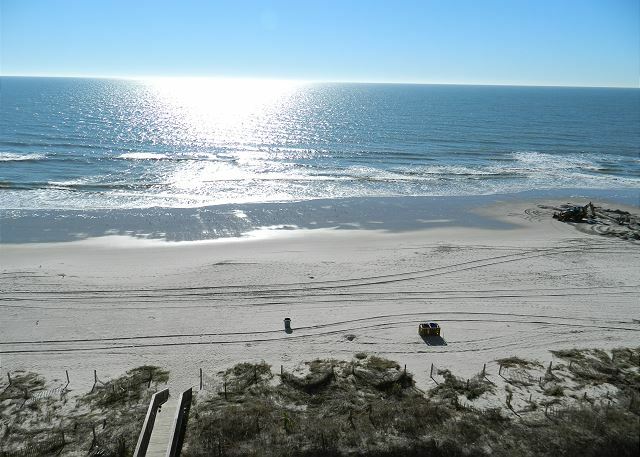 Sunshine is complimentary with your stay!!! 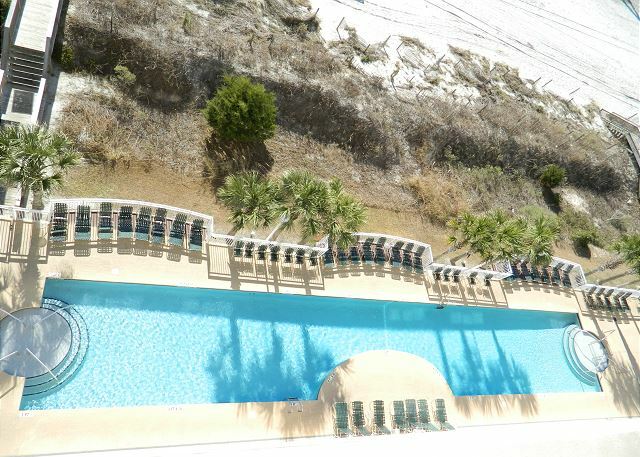 Great outdoor pool by the sea. 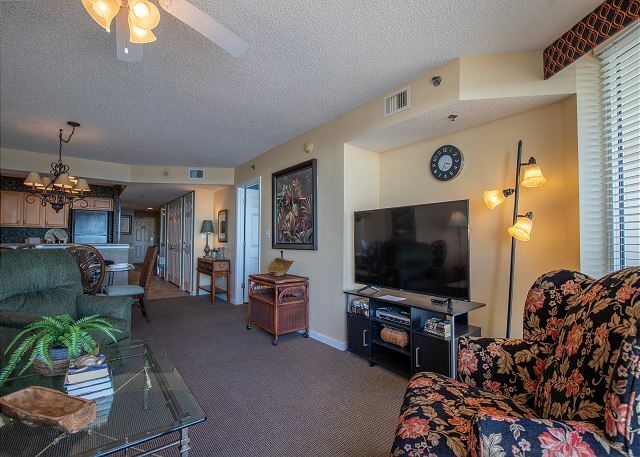 Bring your family and enjoy this spacious 1700 sq ft condo on the 8th floor. The unit has been freshly painted, new bedspreads added. New Living room and master bedroom furniture this December! 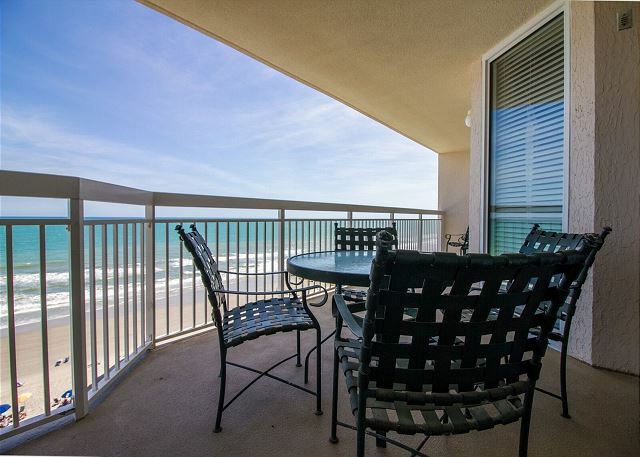 Fantastic ocean and beach views from the fully furnished balcony. 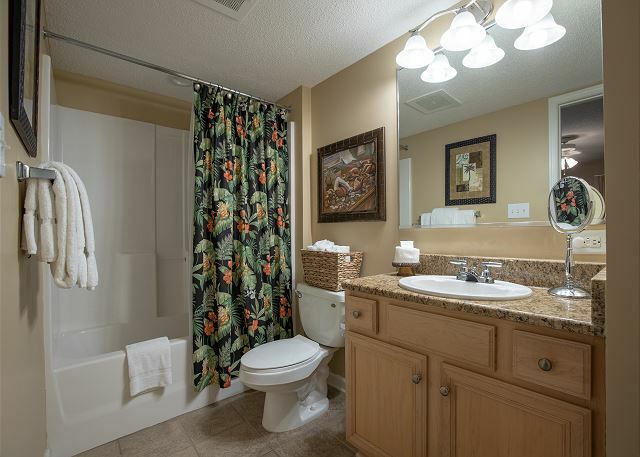 You step into the luxury the moment you open the door to the tiled entry foyer. 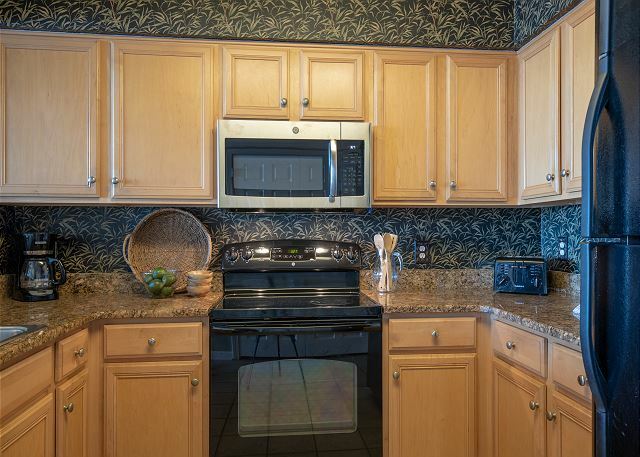 A few steps down the hall you will find the UPDATED kitchen with granite counter tops and full size black appliances. 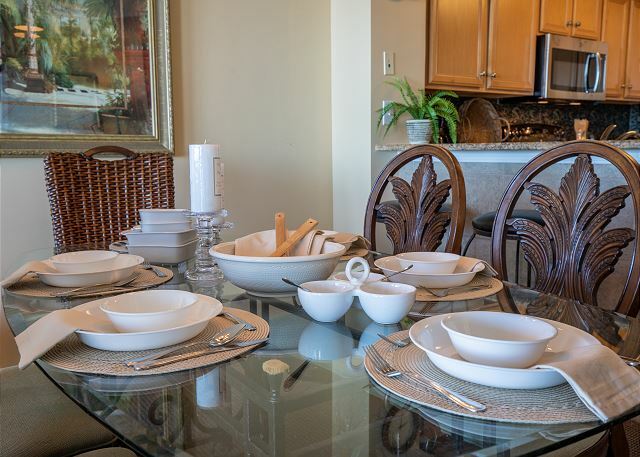 Enjoy cooking in the fully equipped kitchen with glassware, dishware, utensils and cookware. 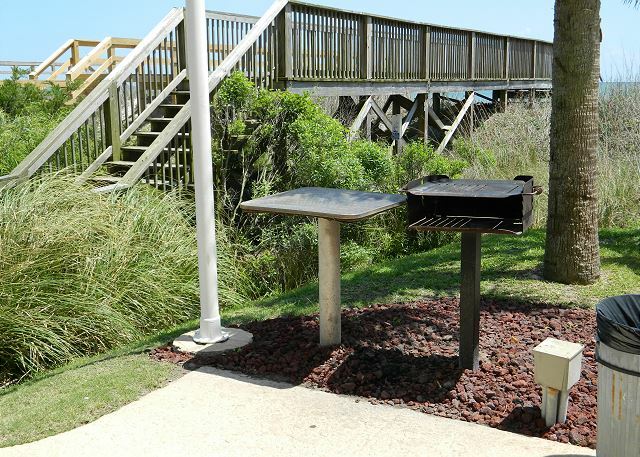 Or take a meal down to the Green Egg cookers and have a vacation BBQ! The Living Room has a new sofa, a beautiful wing back chair, 2 recliners and large flat screen TV. There is seating for 6 at the dining table plus 3 stools at the breakfast bar. 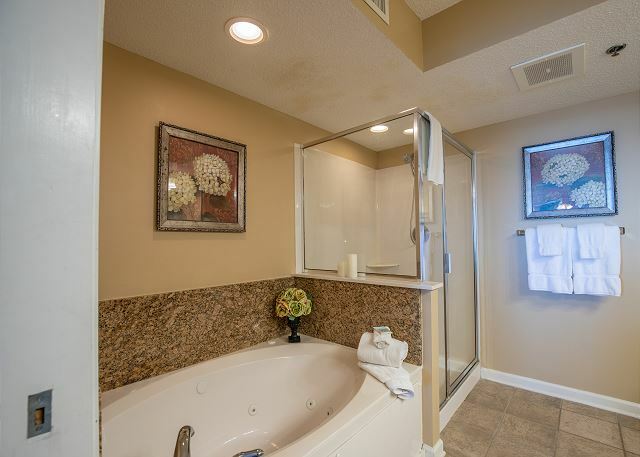 The Master bedroom has a NEW King bed, ceiling fan, flat screen TV and private bath with jetted tub and oversized shower. 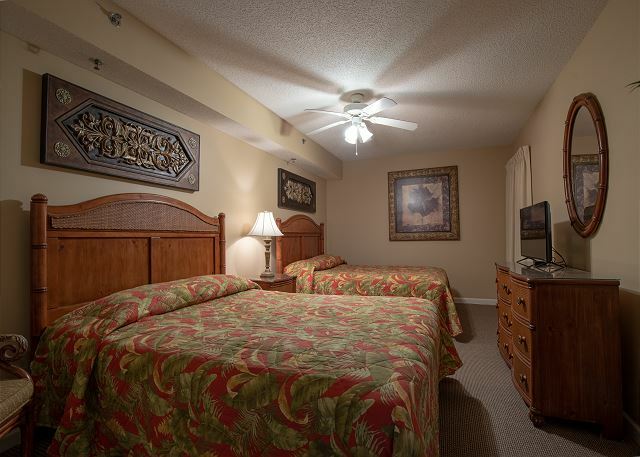 Each Guest Bedroom has 2 queen beds, ceiling fan and flat screen TVs. 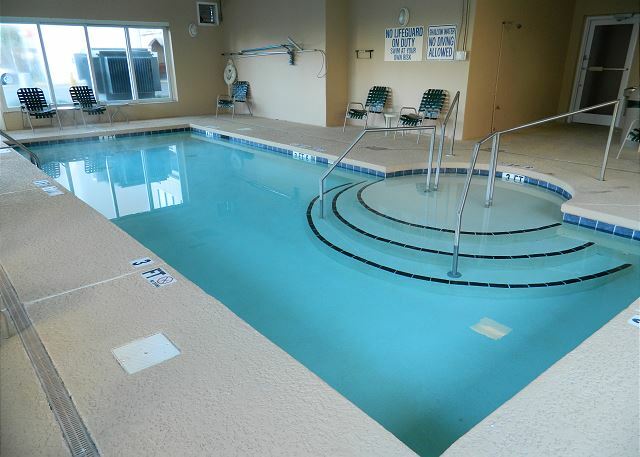 Crescent Shores has indoor and outdoor pools and hot tubs, kiddie pool, lazy river, fitness center and garage parking. 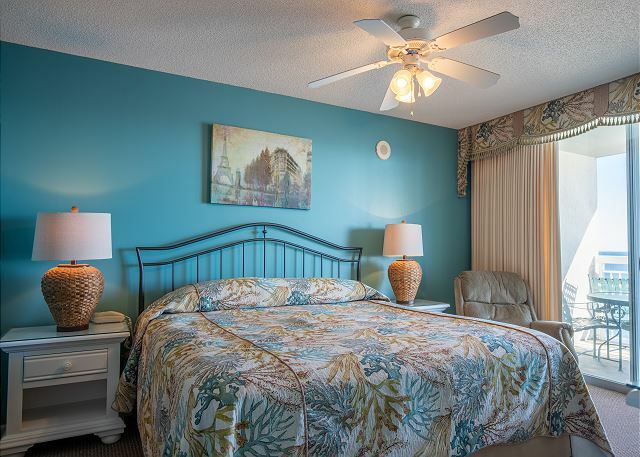 Nearby is Barefoot Landing, with a live theater (The Alabama Theatre), the House of Blues (hosting many summer concerts), and over 100 shops and restaurants. 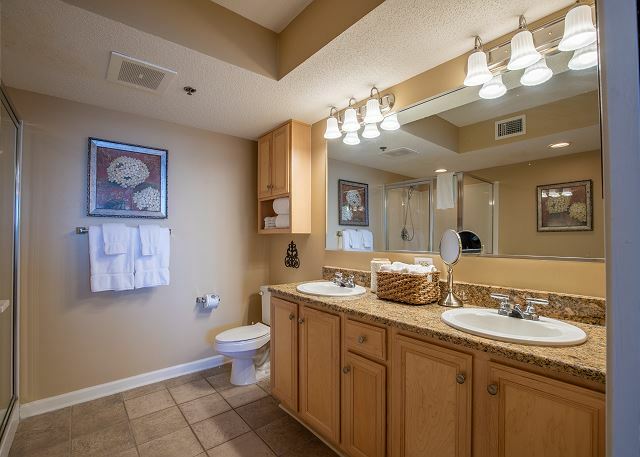 This sleekly decorated, spacious, luxury condo has all the extras, new flat panels TV's with DVD's, in all bedrooms. 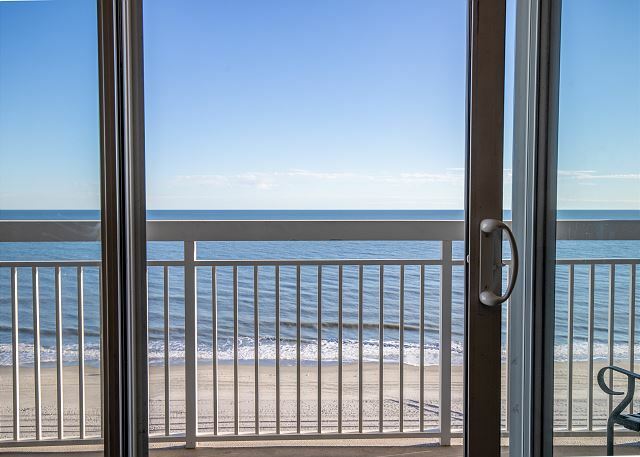 Incredible beach views from the 27 foot wide furnished balcony. We enjoyed our stay and loved this location. 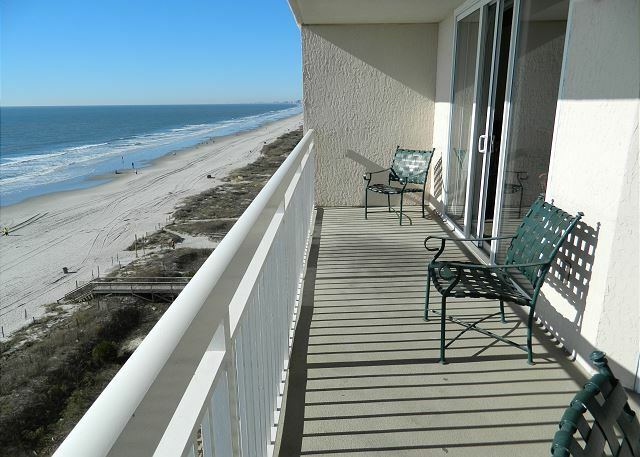 It is right on the beach with a nice sized balcony overlooking the ocean and we enjoyed watching the waves and taking walks along the beach. The kitchen was very well equipped and we made most meals in the condo. We had a challenge figuring out the cable service but we finally worked it out on the third day. The condo was quiet and comfortable. We expected hair dryers in the bathrooms; however, there were none. I would still recommend these accommodations. Barefoot Landing was quite close as were the theaters offering Christmas shows. Thank you for your kind review. 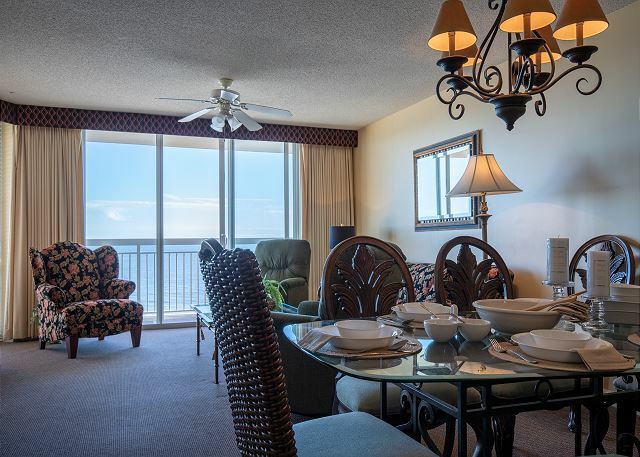 ODVR appreciates that you chose this great Crescent Shores condo for your special family vacation. 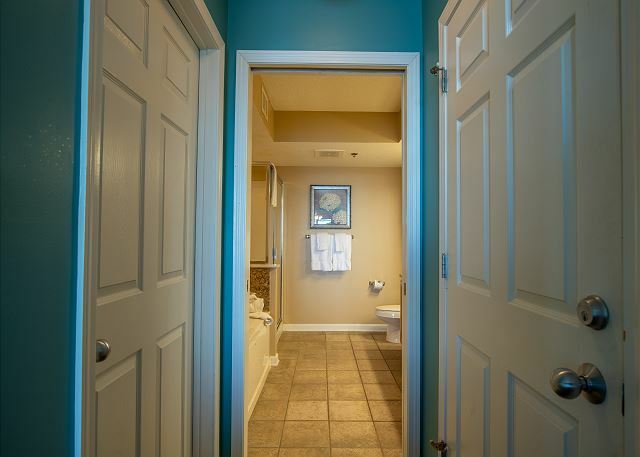 This owner is very hands-on and tries to provide all of the essentials and comforts that will make your stay extraordinary -- we will remind them that hairdryers are a bonus item, too. In fact, the owner will be doing some makeovers over the winter and if you would plan to come back, you will be impressed! 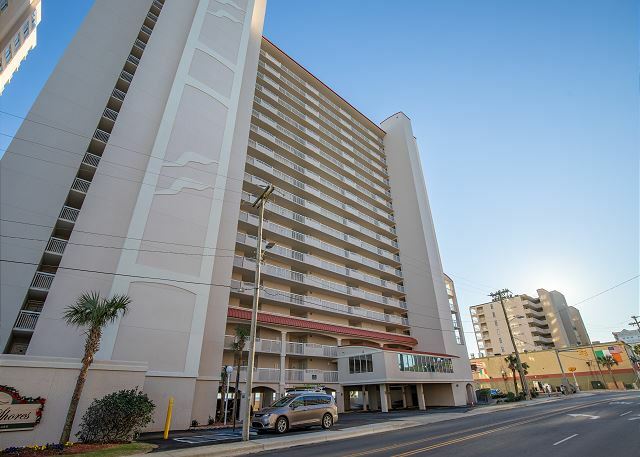 Thanks for sharing the details about the great location; it's true that the complex is central to everything in NMB within a 5-10 minute drive. 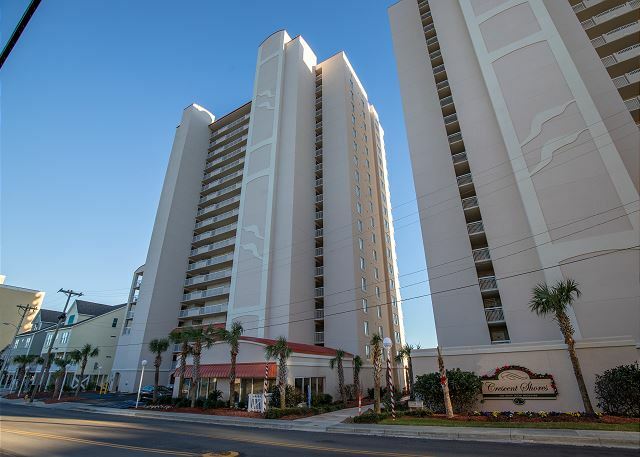 From restaurants, to shopping and shows the NMB area offers year round entertainment. Thank again and we hope to see you next year. Awesome! This is our second year there and plan on returning next year! Thank you kindly for the great review. Repeat guests are our best recommendations for those travelers that need a suggestion for where to stay. It means so much more coming from a guest who stayed with us and enjoyed the condo, as well as the amenities, to share the details. 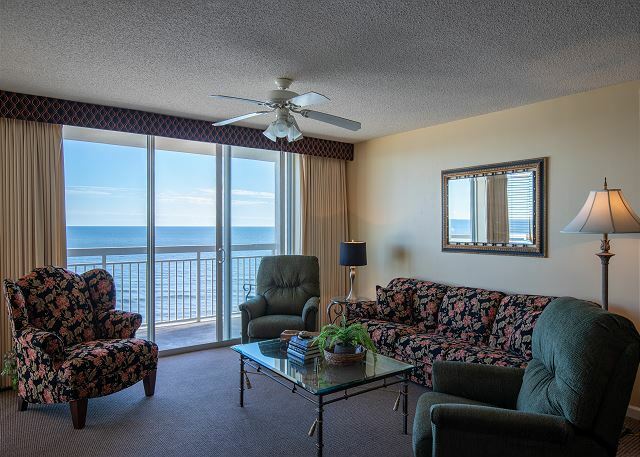 The Crescent Shores complex is a family favorite for the luxury accommodations and great location that it offers. 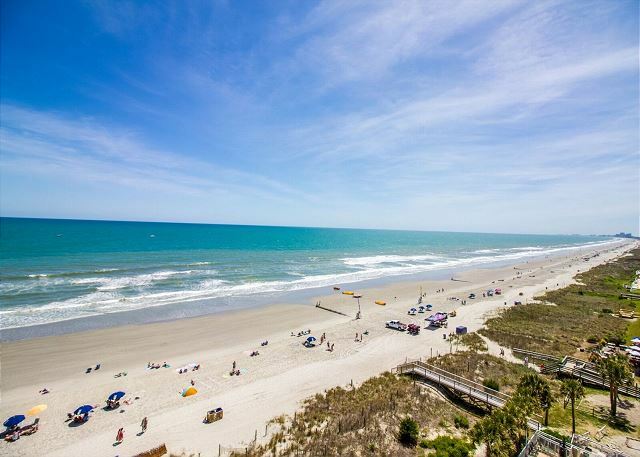 The pools and gym amenities, as well as, a local restaurant, souvenir shop and ice cream stand on each corner, are all just close enough to take a stroll and get back to the beach in minutes. We appreciate you for taking the time to complete the survey. Please make plans to return and we look forward to helping you. The condo was really great. Plenty of room for our group and we enjoyed the balcony and the fantastic view. Check in time (3:00) was very chaotic - consider waiting an hour and save yourself a headache. Thank you for the thoughtful review. We, at ODVR, are glad to hear when things go well. 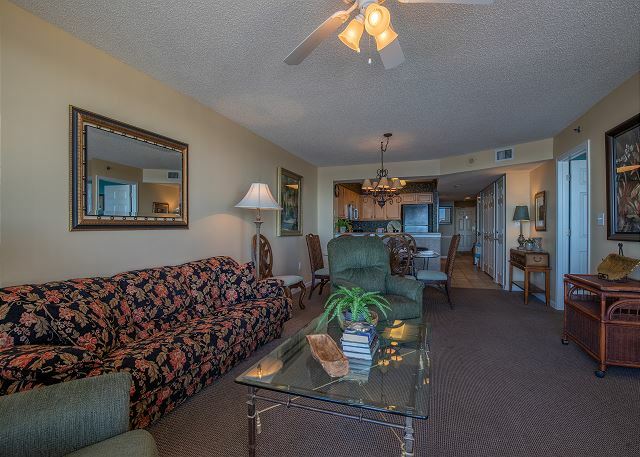 The owner of this beautiful Crescent Shores unit does offer the nicest of accommodations for families to enjoy spending quality time together. 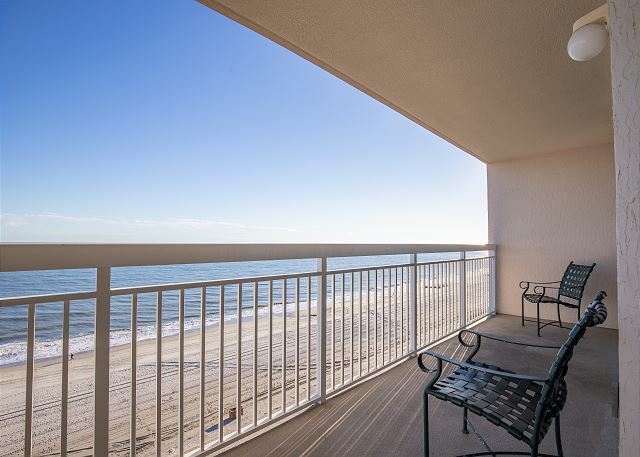 Whether it's cooking, or movie night or relaxing on the balcony after a long beach day; this is the perfect condo with full resort style amenities to make vacations special. 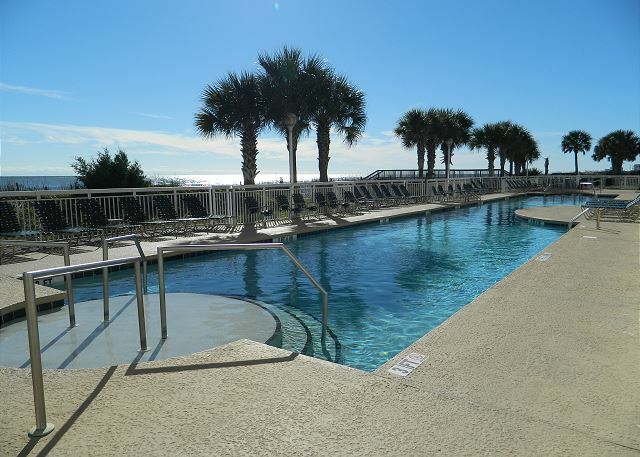 The location of the Crescent Shores complex is popular for all of it's family-friendly amenities, from lazy river and indoor/outdoor pools to watersport rentals on the beach. 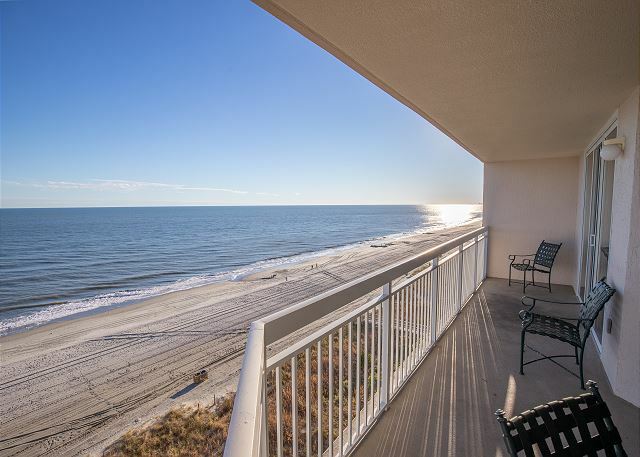 The immediate area is perfect for enjoying a few easy local amenities, like Molly Darcy's beachside cafe, a giant beach souvenir shop and a family-owned hot dog and ice cream stand, all within steps of this condo. We appreciate your recommendation and look forward to hearing from you for next year's beach plans. Very nice condo. Coffee pot needed replacing. 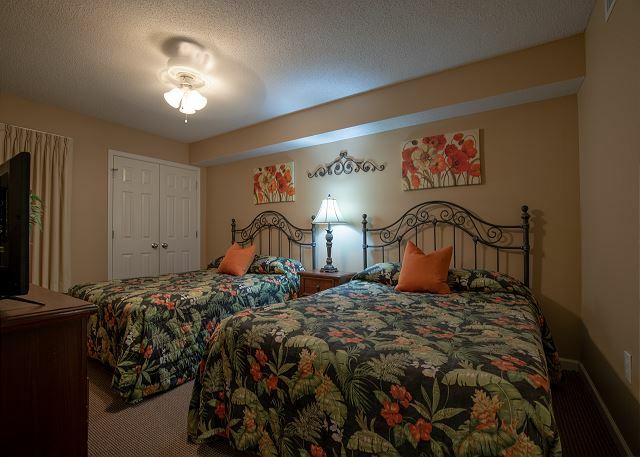 Nice large bedrooms. Great location. Had trouble getting the TV in master to get more than 1 station. Thank you for taking a minute to leave a good review. 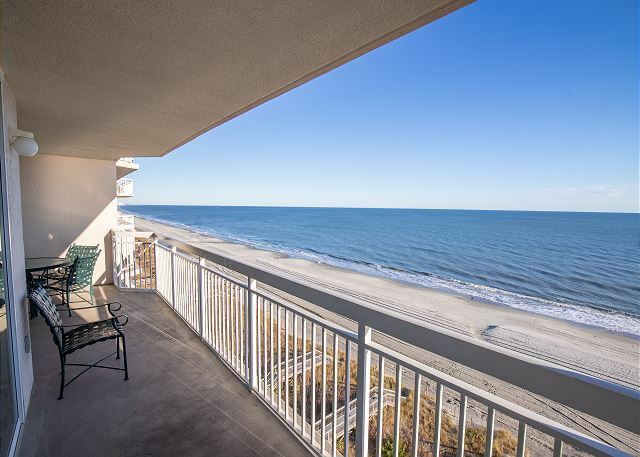 We are happy to hear that you like the overall condo and views and we will certainly work on the coffee pot upgrade with the owner. No problem. 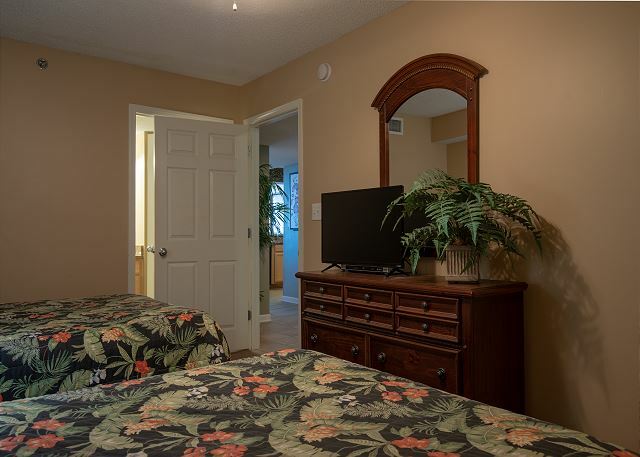 The Crescent Shores complex does share the same local cable provider in all units and all rooms, so sorry to hear that one of the bedrooms was having a "connection" problem. We are certainly here to help with those matters, anytime during your stay. 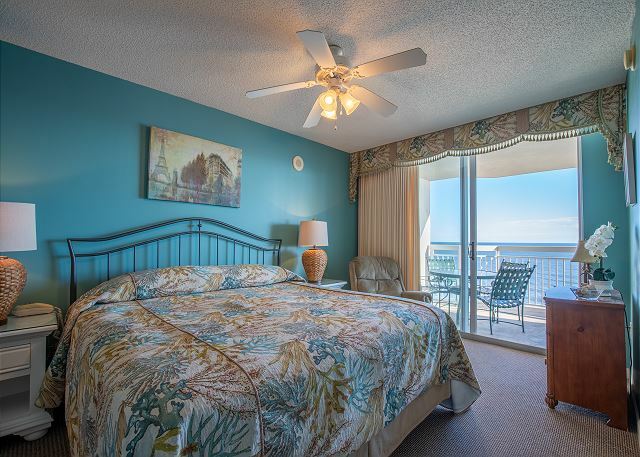 We hope the great ocean view in the master bedroom made up for the tv view!!! 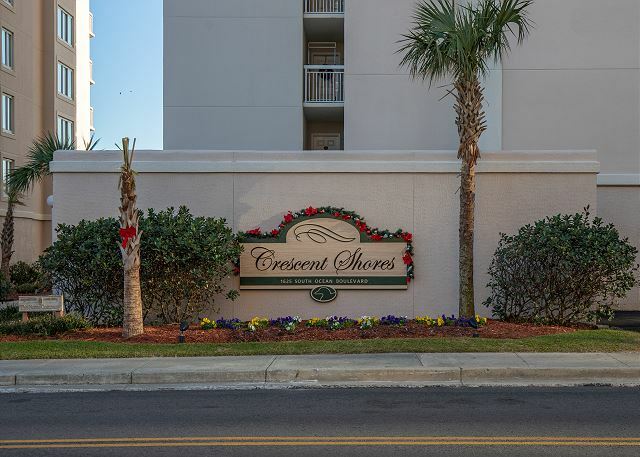 Crescent Shores offers great family friendly amenities and an excellent location for enjoying everything that our great little beach town has to offer, in a 10 minute drive. We hope you will become a regular for us and make plans to visit again soon. Everything from check in to check out was a breeze. WOW thank you. We are glad you took the time to rate us a perfect score and that you enjoyed Crescent Shores #807, please come and join us again. Our condo rental was great--very clean and well kept. 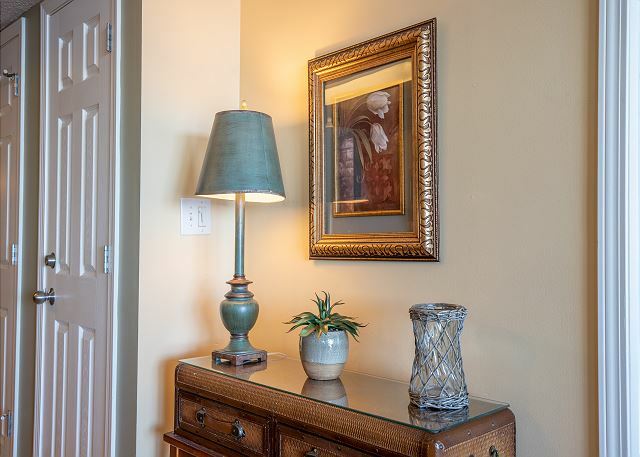 Loved the location and accessories that come with the Crescent Shores unit. 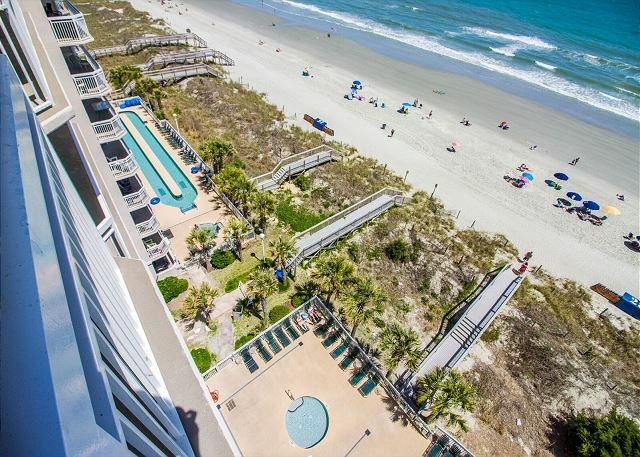 The 7th floor is just perfect--away from the noise of the pool, and high enough to have the ocean view. Would recommend this unit to anyone. We had an awesome experience at this unit. We were sad to leave and would return in a heart beat! The condo was well stocked and was spotless. We look forward to booking it again!!! 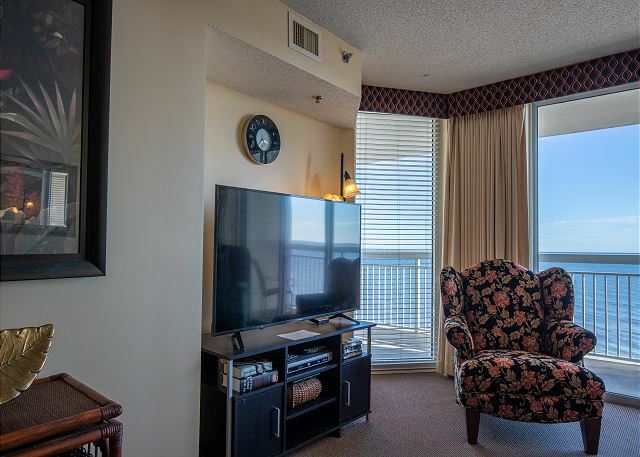 We are happy to hear that you had an AWESOME experience in our Crescent Shores #807. 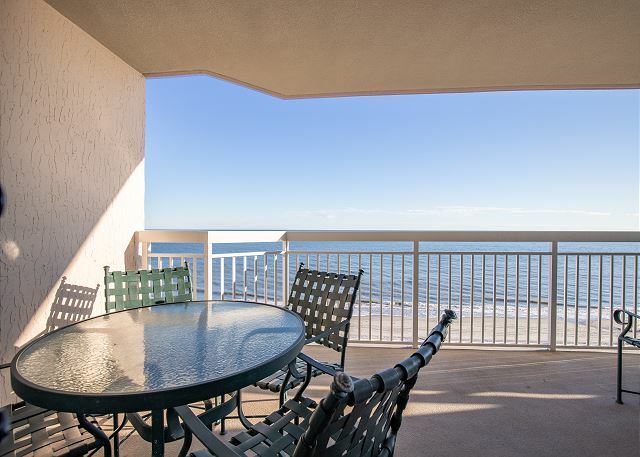 This is a great oceanfront condo with an owner that has thought of everything to make sure their guests have an awesome stay. We hope that you will come and join us again. Could not have asked for any better!!! Room was perfect!! Clean and well maintained! The management company was great!! I would most definitely rent through them again!! Great to hear Jacqueline, PERFECT! 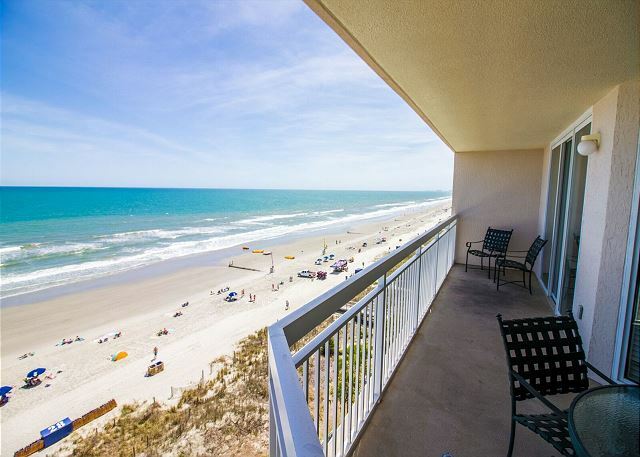 We are so happy that you had a perfect time at Crescent Shores #807. This is an amazing condo, you step into the luxury the moment you open the door to the tiled entry foyer. 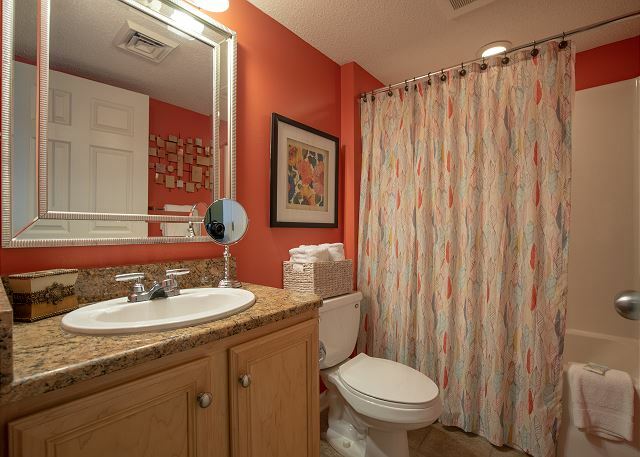 With its 1700 SQ ft of space all tastefully decorated you can't help but enjoy it. 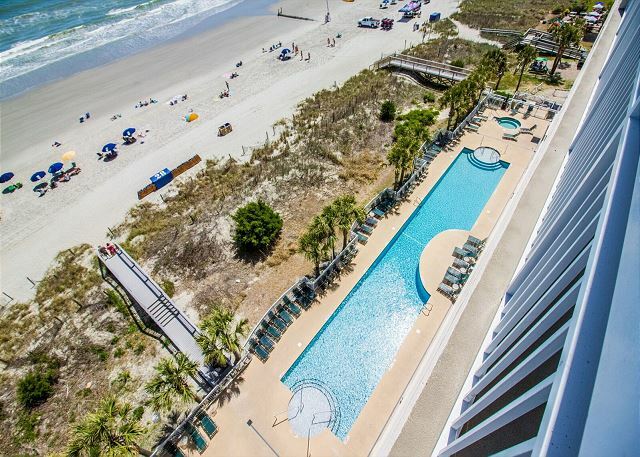 All the pools, lazy rivers and the beautiful beach would all help make that PERFECT vacation, we are so happy we could help. Thank you again for staying with us Jacqueline and we really hope to see you back next year. Sincerely your ODVR Team. 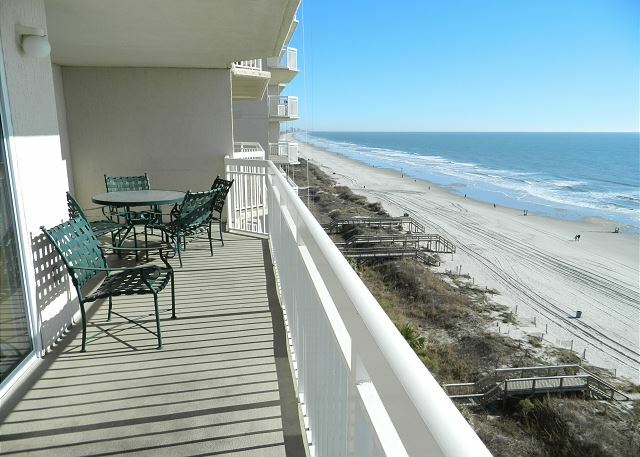 A very nice unit with great beach view. Very spacious, good furniture and bedding. Minor comments -- cookware could be upgraded, very few pots and they were pretty scratched up, the towels are Holiday Inn grade -- given the towel fee, they should be much nicer. Lot of maintenance going on, the lazy river was closed and the parking deck was being powerwashed which forced us to move the car. But we enjoyed ourselves and would definitely stay here again. Thank you for your review. We would love to have you back again. Per your comments the pots & pans have been replaced and the kitchen is very well stocked. Unfortunately due to the hurricane last year a lot of the upgrades planned by the HOA were delayed. We do apologize for any inconvenience. 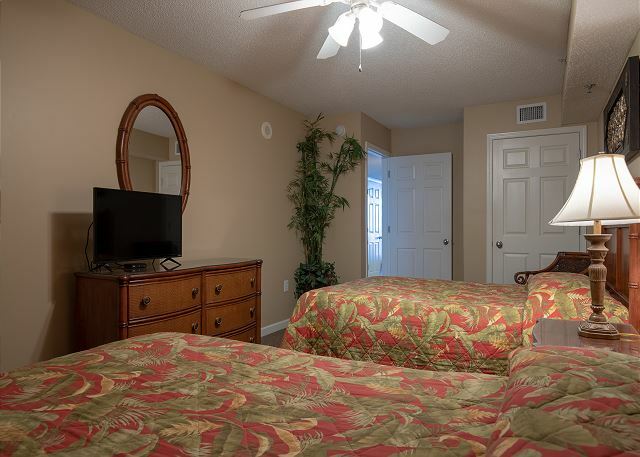 Most of our guests comment that we have quality towels and sheets. Our guest service package does include the bed & bath linens, exit cleaning, starter supplies and a discount dining / golf card. We at ODVR strive for great customer service and making your vacation stay as wonderful as possible.